Accelerate multi-pocket package filling and eliminate product loss with the Depositor by WeighPack Systems, Inc. The Depositor, designed for filling multiple product zones at high speeds, is an independent unit that can be integrated with virtually any weigh filling system. 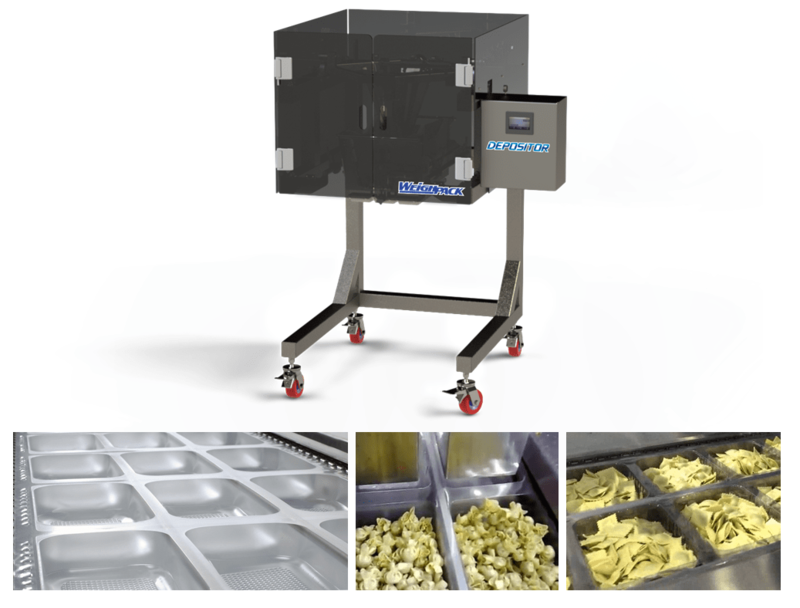 Adaptable to fill 1×2, 2×2, 2×3, and 3×3 configurations, the Depositor is mounted on casters and can be seamlessly connected to production lines with existing thermoforming machinery or tray indexing conveyors. Standard features include Omron PLC and a wide color touch screen with intuitive menu selections, set-up procedures, and graphic readouts allowing operators to control machine functionality with ease. A compact, 304 stainless steel frame with an open design also provides added durability and cleanability. Ideally suited for frozen foods, pasta, fresh product, cheese, meat and much more, the pneumatically-driven Depositor can accommodate a wide range of package sizes, types, and configurations.